Stanbrook & Nicholson’s extensive range of Timber Bi-fold doors provide the perfect way of opening up your home to the outside world. The first-class aesthetics of timber merge perfectly with a contemporary design and the latest technology to bring you a truly worthy centrepiece. You can enjoy both practicality and energy efficiency with windows that promise incredible day-to-day performance and a reduction in your carbon footprint. Suffice to say, expert craftsmanship and a highly bespoke, customer-oriented service also come as standard with these fantastic doors. The result of years of refinement, these doors provide the perfect solution to those who want easy access between the home and garden. Summer BBQs will be a breeze from now on, with low-level thresholds truly removing all boundaries. Yet, alongside their openness, they are also secure and durable, offering unmitigated protection to your home. If you are looking to enhance your property with a centrepiece that delivers both aesthetically and practically, then look no further. Bi-fold doors are a contemporary addition to any home, but Stanbrook & Nicholson ramp up this sentiment to a whole new level. A minimalist frame design means more glass, which in turn maximises the amount of light flowing into your living space. Solid timber is also used rather than a thin laminate coating, guaranteeing authenticity. We can also craft them using European oak. Timber bi-folding doors don’t get more genuine than this. 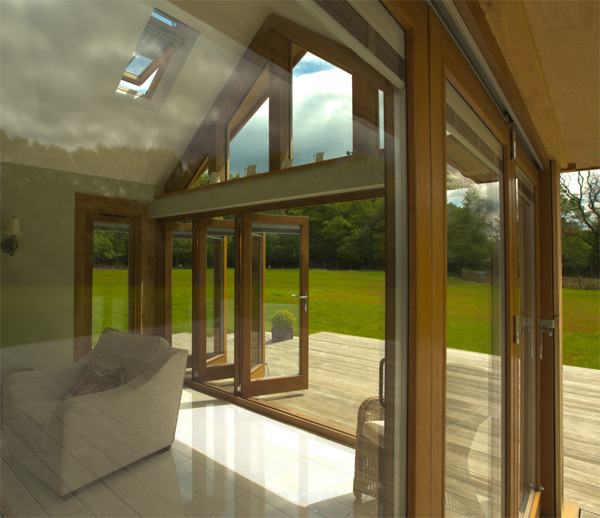 Aesthetics and design are only half of the appeal with our range of Timber Bi-folding doors. Practical features are also crammed into the product, ensuring unparalleled levels of security and thermal efficiency. A unique locking system that utilises a single flush handle and shoot-bolt lock will keep your home safe at all times. This eliminates the need for ugly flush bolts at the top and bottom of the door. An added benefit of this is that you will no longer have to bend down to lock each leaf. Multi-point espagnolette locks and security aligners, which prevent the doors from being lifted, are yet more unique security features of these doors. In terms of environmental efficiency, warm edge spacer bars, Planitherm and argon gas filled units will shrink both your bills and your carbon footprint. As per usual, all of Stanbrook & Nicholson’s products come with optional colours, finishes and accessories. We offer full RAL colour matching facilities, comprising of over 200 colours. 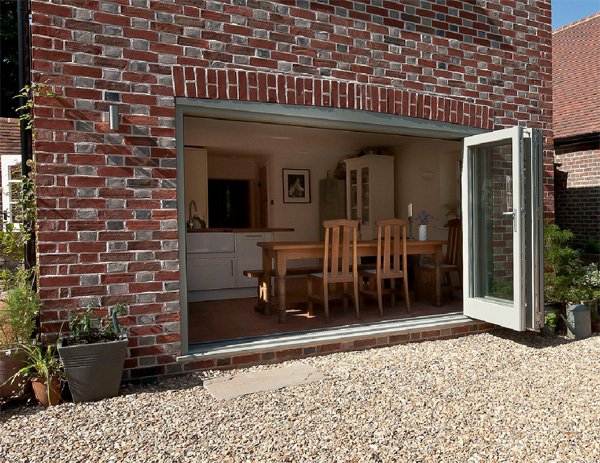 This makes our Timber Bi-fold doors suitable for replacements and fresh installations alike. Dual colours – both inside and out – are also available, and opaque paint colours can be matched if our range does not suit your needs. Our range of high quality stained finishes is also extensive and includes favourites like matte, gloss, satin and – our most recent addition – a highly realistic wood finish. Practical accessories like automatic blinds are the cherry on top.